The Appointments Committee of the Cabinet will convene after Prime Minister Narendra Modi returns from an African tour and might clear a name given to it by a selection committee, Business Standard has learnt. 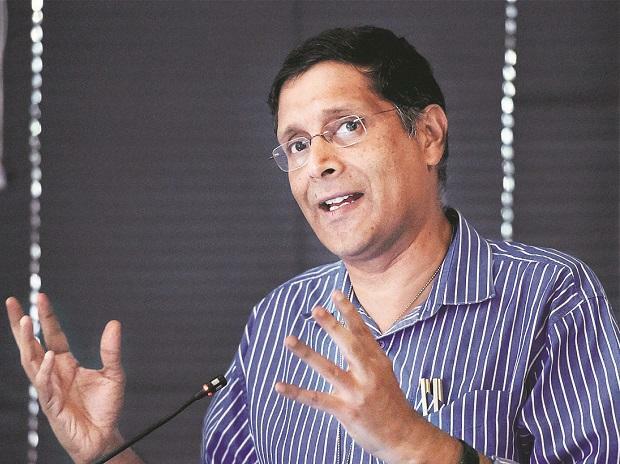 Arvind Subramanian, the incumbent CEA, demits office on Thursday. Rumours in the bureaucracy on his successor include the names of Sajjid Chinoy of JP Morgan, Rathin Roy of the National Institute of Public Finance and Policy, Neelkanth Mishra of Credit Suisse and the principal economic advisor, Sanjeev Sanyal. Finance ministry officials, Indian Economic Service officials, and Union minister Arun Jaitley have already held three separate farewell lunches for Subramanian. The first two were held last week; a lunch at Jaitley’s residence was on Tuesday. Jaitley had announced on June 20 that Subramanian would cut short his extended tenure and return to academia in the United States. In early July, the government advertised the post, with a doctorate degree in economics or finance desirable but not essential. The applicants had to have at least six years’ experience in economic research or advisory roles. The cut-off age was 56 years and the last date of application was July 20. As reported earlier, one of the first tasks that a new CEA could take up is reviving the mid-year economic review, which the government is planning to bring back, two years after scrapping it. The person occupying the CEA’s office, two doors down from the finance minister’s chamber will also have to help in filling in key roles in North Block. Subramanian’s core team of young IES officers and external advisors will leave with him. Some senior IES officers are slated to retire over the next few months as well. The 2018-19 mid-year economic review, if prepared, is likely to be released in December or January, ahead of the 2019-20 interim budget in early February. This means the 2018-19 Economic Survey is likely to be released before the post-election Budget in July. Subramanian has repeatedly termed his stint the best job he has had. After extension of tenure in 2017, he was supposed to stay on as CEA till May 2019. He has had an eventful tenure and his economic surveys have stood out for starting debate and discussion on a number of issues. These include providing of targeted government services through the ‘JAM trinity’ of JanDhan-Aadhaar-Mobile, a state-owned ‘bad bank’ for toxic assets in the banking system, the problem of twin balance sheets, an Universal Basic Income for the poor, the concept of ‘stigmatised capitalism’ and in the latest survey, a portion on India’s ‘unwanted’ missing women. These topics, and others, led to debate in the media and among policy watchers and economists. So much so that Jaitley had to clarify a number of times that the job of the CEA was to come up with ideas, irrespective of whether they would be implemented or not. The CEA has also been one a critic of the Reserve Bank of India’s six-member Monetary Policy Committee and its inflation modelling. The second part of his 2016-17 economic survey had said there was a wide divergence between headline numbers and inflation targets. Subramanian has also been a member of a panel asked to recommend a medium-term fiscal roadmap. He had authored a lengthy dissent note to the panel’s recommendations, in which he suggested the focus of policymakers should be on reducing the primary deficit, rather than the fiscal deficit. In spite of being one of the government’s pre-eminent advisors, Subramanian was not consulted by it on demonetisation before the decision.